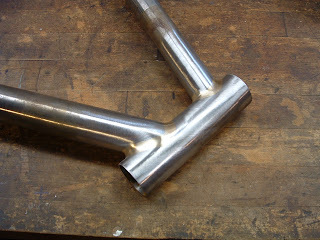 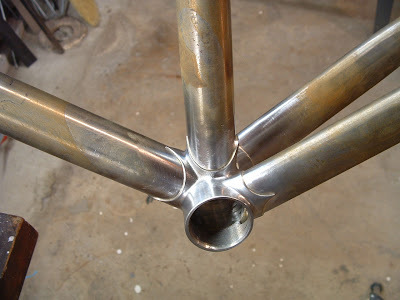 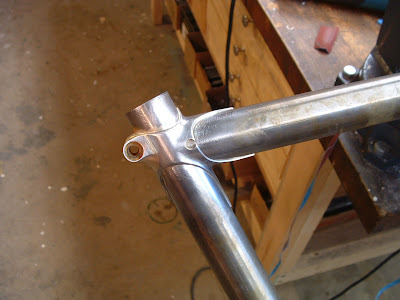 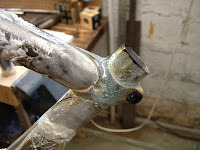 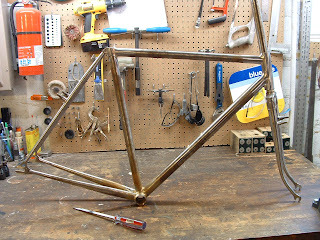 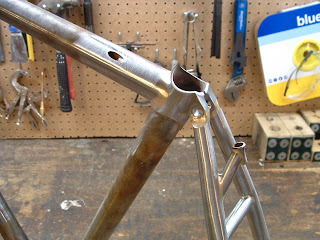 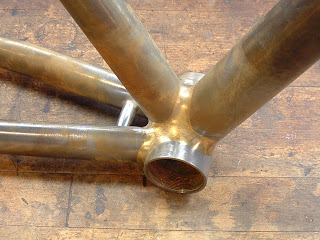 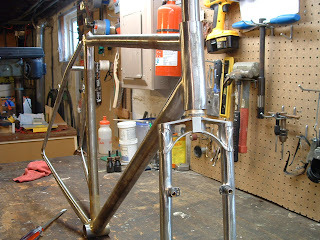 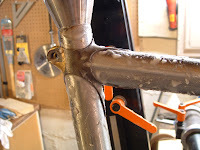 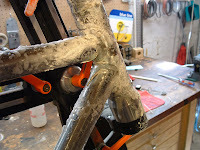 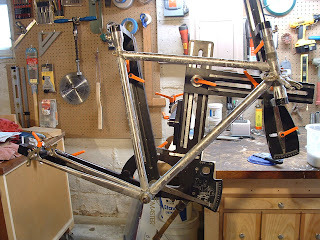 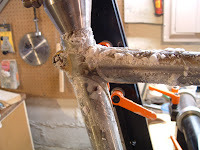 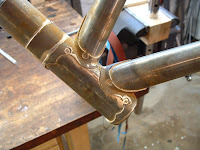 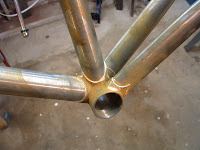 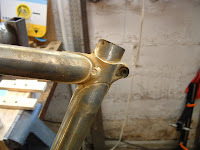 Today's entry will be more of a photo essay of Doug's frame from tubes and lugs to a completed front end ready for seat stays. 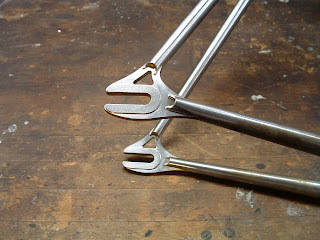 Those are for tomorrow. 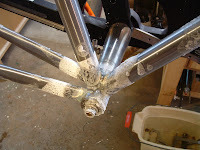 I took shots before and after tacking. 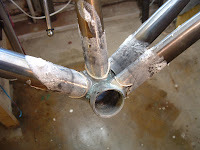 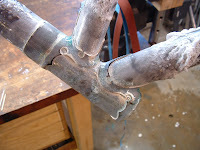 This next set is after brazing on the left, and after soaking the flux off on the right. 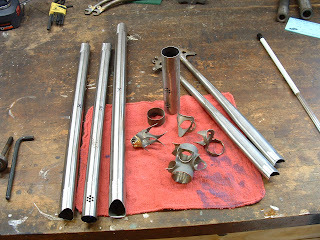 Some big shots of the finished lugs. 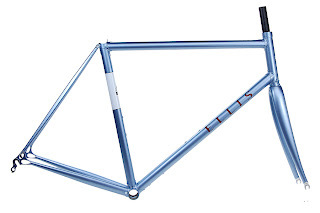 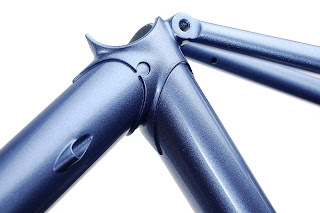 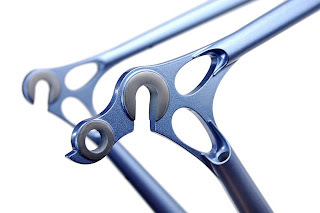 A few more shots of the blue road frame. 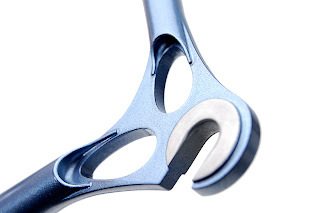 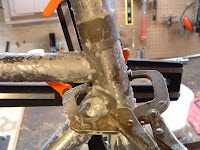 Here's a good view of where the internal derailleur cable exits the chain stay. 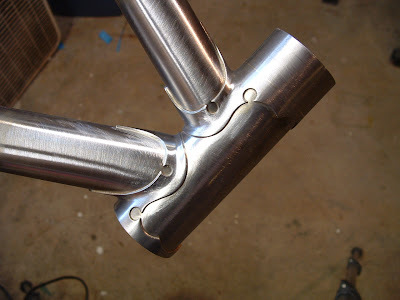 I just love the angle and the curves in this one. 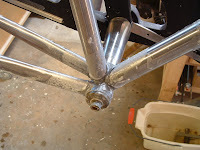 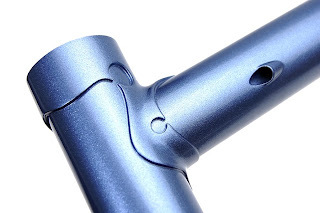 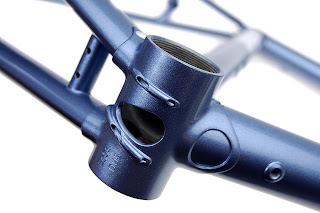 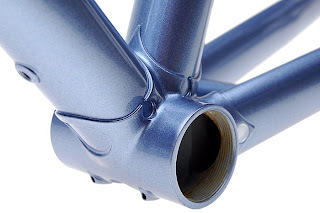 A good view of the bottom bracket details, the circle on the chain stay is painted in white.